VIDEO: Detroit Red Wing Larkin Highlights. See Awesome Video Below.. 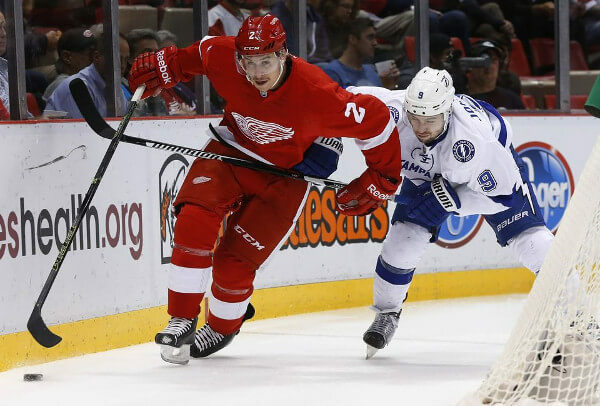 The Detroit Red Wings made the right call keeping 19-year-old Dylan Larkin on the roster. During the 2012–13season, Larkin skated for USA Hockey’s under-17 team in his first season with the USA Hockey National Team Development Program in Ann Arbor. In 55 games he scored 13 goals and 14 assists. Larkin recorded one goal and one assist in four games at the 2012 Four Nations Tournament in Switzerland as the USA finished in first place. Larkin recorded three goals in four games for the third-place USA squad at the 2013 U17 Five Nations Tournament in Finland.